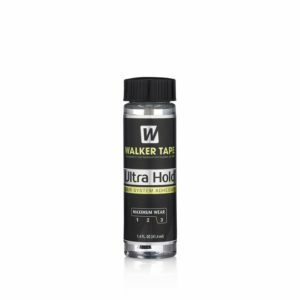 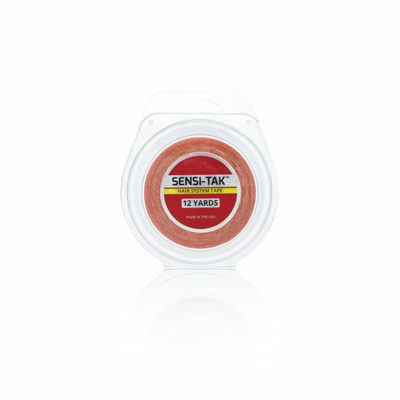 Sensi-Tak Red Hair System Tape from Walker Tape is a low residue wig and hair system tape, which is popular for use on poly units due to its easy clean up. 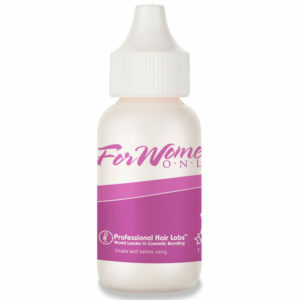 This 12 Yards x 1 inch Roll clear wig and hair system tape provides a medium hold, which can last up to 1-2 weeks. Sensi-Tak Red Hair System Tape (also known as SensiTak or Sensi Tack) is a very popular choice because it leaves no tape residue making it very easy to remove and clean. 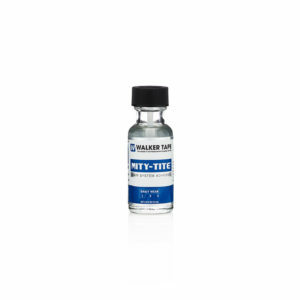 It can also be used as a tape base liner for stronger adhesives which dramatically reduces the clean up process. 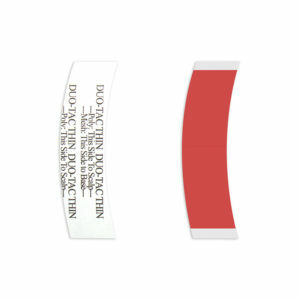 It is especially good for poly units.